You know how I’m always encouraging you to tap into your awareness and cultivate the power of the mind/body connection in your singing? Well, I saw this headline the other day and I had to bring it to you. It’s such a testament to the power of the mind/body connection that if you have ever been in doubt, it serves as a great reminder. For those of you not following the news or who hadn’t heard this story, a group of thirteen Thai boys and their soccer coach were trapped for 9 days deep in a cave after the entrance got flooded. They were without any food, any light or much fresh water until on day 10, an international team of navy seals and cave divers found them, miraculously alive, and managed to get them out after week long rescue mission. 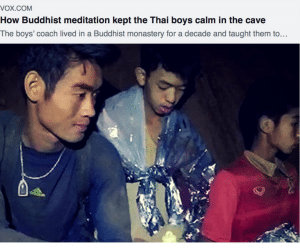 It turns out that the boys’ coach, who led them on a hike into the cave when it flooded, trained in meditation as a Buddhist monk for a decade before becoming a soccer coach. According to a bunch of news sources, he taught the boys to meditate in the cave to keep them calm and preserve their energy throughout the two-week ordeal. To me, this is in absolutely stunning example of how even when faced with grave, life threatening circumstances, the power of awareness can settle the body out of the “fight or flight” patterns that cause panic, increase suffering and even hasten death. The body, being in a more peaceful state, conserves energy and is more able to survive. For nine days. Without food. Without light. In a cave. Now, I know finding our most effortless, powerful and beautiful singing is not life and death like being stuck in a cave for nine days, but let’s be honest, sometimes it feels that way! Sometimes our frustration level and our fear around not succeeding in our singing hijacks our thinking so much that it feels like life and death. Those of you who experience a lot of fear and anxiety around auditions or performances know what I’m talking about. When we are in that fear pattern, our body reacts the same way and releases the same chemicals (adrenaline and cortisol) as if we were stuck in a cave with no way out. Through mindfulness, we are able to tap into our awareness and use the mind/body connection to literally reverse our body’s physical and chemical fear reaction. 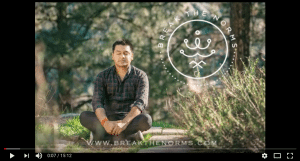 Meditation is the best way I know of to quiet the mind so it can stop negatively effecting the body. This manner of mind/body connection gives us a much better chance of succeeding in our singing, and in life. Right about now, some of you might be having a fear reaction of your own at the mere suggestion of meditating. And by the way, that was me about 10 years ago, so I totally relate. I too used to think “oh, I can’t sit still for that long” and “it’s useless, I just fall asleep” and “it’s way too uncomfortable to sit quietly with my thoughts, my mind just goes crazy, this is not for me”. But getting quiet and sitting with our awareness is something that is learned. Meditation does not come naturally or easily for most of us at the beginning, especially if we try on our own before learning methods or tools. And lucky for us, we are living in a time when there are more resources then ever. With the guidance of weekly meditation classes, podcasts, apps, retreats etc., there are so many ways to learn. When we give ourselves the space, patience and curiosity to explore the tools at our disposal, meditation is not so hard to practice. The point is not how you do it, but that you do it. Go exploring. Google “meditation classes near me”, try five or six different instructors of different traditions in classes, online videos, apps or podcasts until you find what resonates with you. Try not to judge meditation on a whole based on one experience with one teacher or method. Get curious and know that those who seek will find. Accessing the power of your awareness and your mind/body connection is the key to tapping into your potential, maximizing your vocal technique and opening up your most effortless singing. I have experienced it first hand, the students who have gone through the 4 Month Intensive have experienced it, and now it’s your turn to give yourself that gift by beginning your own journey with meditation in whatever way feels most aligned for you. 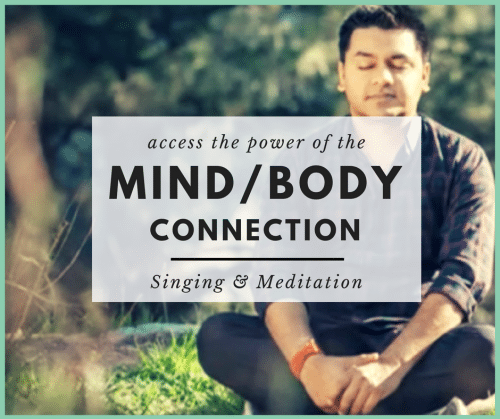 Meditation is a tool to help you build consistency and confidence in your singing so that your singing does not just sound amazing, it feels amazing too!